Busy work schedules, hectic lifestyles and juggling family life with career commitments, often leaves us working through lunch, grabbing food on-the-go, or eating convenience food at our desks. It can be hard to find time to prepare a nutritious packed lunch for the day ahead and regularly we resort to the unremarkable sandwich. Health food advocate and retired Irish international track and field athlete, David Gillick, will share his tips on ways to pick a nutritious lunch when you’re on the go and advise on how to eat healthily as part of a busy lifestyle. Learn to appreciate the meal that’s often neglected and how to build a balanced dish; incorporating carbohydrates, protein and healthy fats. David will help you choose simple, tasty and nutritious meals that will keep you fueled throughout the afternoon. David is a former Irish international track and field athlete. He specialised in the 400m and won the European Indoor Championship in 2005 and 2007, the Irish National Outdoor Championship in 2006 and 2007, and set the Irish Indoor record of 45.52 seconds in the 2007 final. In 2006, Gillick became a full-time athlete and relocated to Loughborough in the English midlands to train with coach Nick Dakin. In 2008, David realized a lifelong dream of becoming an Olympian, unfortunately due to being struck down with a virus prior to the games he didn’t perform to his full potential. His disappointment at the Olympics brought about a positive change in his attitude, and when he started back into training he made the decision to start enjoying his sport. His new attitude proved successful and he was training better than ever – setting a new personal best and Irish record. 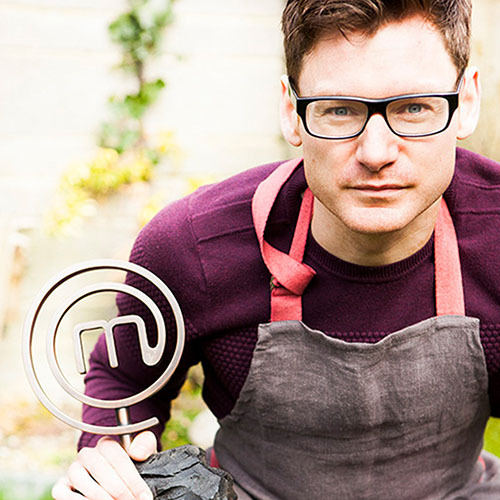 After spending time training at the Australian Institute of Sport, David returned home to Ireland where he was asked to take part in Celebrity MasterChef in 2013. He managed to stay in the competition all the way to the final and was crowned the champion of the first Celebrity MasterChef Ireland. David has always been interested in healthy living and healthy food and is now pursuing a career as a healthy nutrition advocate, cookbook author, and health ambassador.